A young girl discovers the mystery of where her grandparents disappeared too after they were dead and found there treasure to save there parents home from being Foreclosed upon.
" Congratulations you have found out our family secret I'm sure you were expecting a treasure but we are not rich I'm sorry however what you did not know is that your grandpa and grandma are actually vampires. Yes I am serious when we were young we ran into someone one night and we got bit. That is why you never see us outside or you never did during the daylight. Well your grandpa and I couldn't take it anymore and we locked ourselves in here one night and we'll after a few days without food or water we died inside these coffins. Now for the good news the bank said they were going to Foreclose on you guys well we wouldn't let that happen I know I said I'm not rich but over time we saved our own money and also well took the money of our victims and well it's enough so that the bank won't take your home. I love you and your parents and I want the best for you since I obviously wasn't able to help you while I was alive I sure as heck can help you after I am dead." Wow I don't know what to say I look on the table next to the coffins and pick up an envelope it contained $25K more than enough to let us keep our home and live comfortably for a long time. 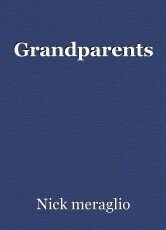 I was also glad I found the secret out of what happened to my grandparents do I believe they were vampires? No my grandpa was always a jokester and I honestly think they did build this secret room because they were smart and maybe they bought these coffins just so they wouldn't have to leave the house since they genuinely didn't like people and I'm sure they didn't want to be buried near anyone. Anyway none the less as a sign of respect I did not tel my parents about my grandparents or the secret room I didn't want them to worry I told them I found the Money in our basement they were so glad that they didn't even ask where. I was glad I kept the secret for my grandparents and I know they are smiling down on all of us from Heaven. I love them and always will. Samantha said.